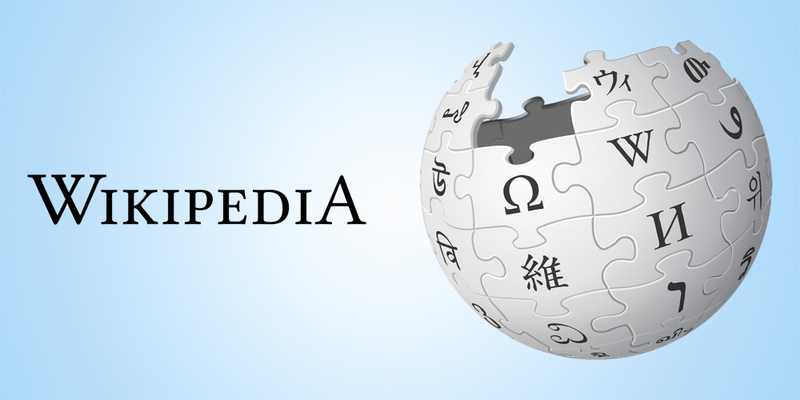 Wikipedia (pronounced /ˌwɪkɨˈpiːdi.ə/ WIK-i-PEE-dee-ə) is a multilingual, web-based, free-content encyclopedia project based on an openly editable model. The name “Wikipedia” is a portmanteau of the words wiki (a technology for creating collaborative websites, from the Hawaiian word wiki, meaning “quick”) and encyclopedia. Since the site made its debut in 2000, traffic has soared letting it steal seventh place for the most visited websites on the internet according to Alexa. There are over 17 million articles in over 270 languages making an endless source for information. According to Wales, over 400 million visitors access the site each month. If that is not impressive enough, over 1.2 million people have contributed to Wikipedia at some point and 11 million edits take place each month. Wales acknowledges that some articles lack quality and he hopes to help increase credibility with more citations as the sites moves into its second decade. Wikipedia has also been criticized for editors who decide on which changes, edits, and viewpoints are kept or not. Despite those issues, popularity continues to grow and independent research firms such as Pew Internet verify that claim: “the percentage of all American adults who use Wikipedia to look for information has increased from 25% in February 2007 to 42% in May 2010.” Pew even mentions that nearly 69% of users have a college degree according to their data. 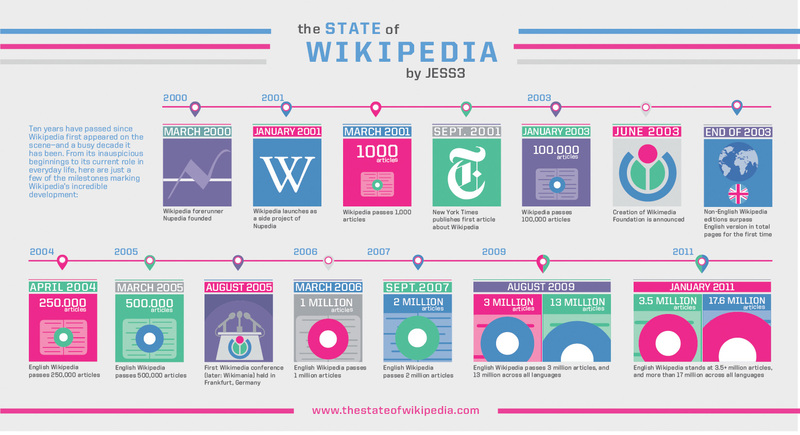 In the nature of Wikipedia’s openness, both the infographic and video are under a Creative Commons license, making it possible to copy, share and distribute the visuals with adequate attribution. Also a quick question to our college readers, does your school let you cite Wikipedia as a credible source? And on that note, feel free to upgrade our Skatter Tech wiki page if you have a chance.